I feel like someone needs to make a list of all the crazy women in literature/theater and start checking off when Helena plays them. So far we have Bellatrix, Mrs. Lovett, Marla Singer, Ophelia and those are just the ones I can think of off the top of my head! 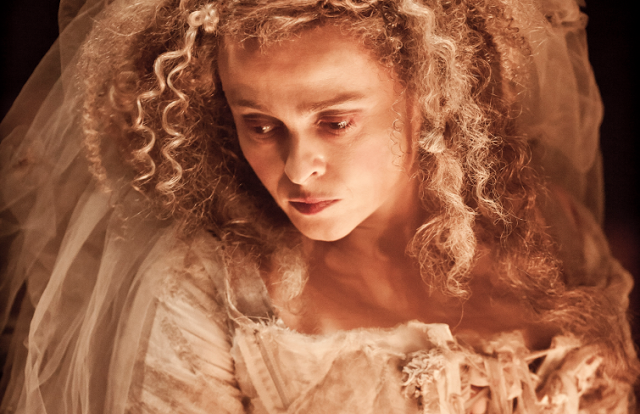 Needless to say, Ms. Carter does crazy quite well, which is why I’m very interested in seeing her play the ultimate Bridezilla, Great Expectation‘s Miss Havisham. For those of you who never read Great Expectations, the rich Miss Havisham was left at the altar in her youth by her bridegroom, which also left her just a wee bit crazy. She spends the rest of her life hidden away in her deteriorating mansion doing two things: 1). wearing her badly aging bridal garments and 2). raising her beautiful protege Estella to get suitors’ hopes up only to kick them in the metaphorical groin. Basically, if Havisham is miserable because of one man, then she’s going to make every man that comes near her miserable, too. She was one of the more haunting villians of 1800s literature, and let’s face it – Helena has the market cornered on crazy characters. Already critics have questioned whether the 45 year old actress can play the ancient spinster, but other have noted that while the character has been played “Crypt-keeper” old in past movies, Miss Havisham is only supposed to be in her mid-fifties, which isn’t too far away from the actress’ age. I’m hoping they’ll age her a little more than in these first few pictures, but I’m willing to bet HBC is going to crazy it up real good. 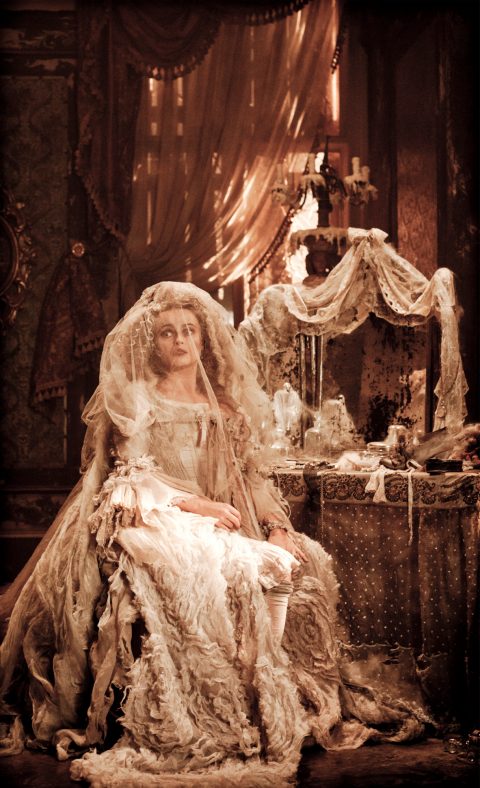 And if you have any doubts, here’s another creepy-as-hell picture of her in full Havisham garb. The film includes HBC’s Harry Potter alums including Jessie Cave, Robbie Coltrane and Ralph Fiennes himself. Oh, and Goblet of Fire’s Mike Newell is directing. Great Expectations is slated to be released fall of 2012, coinciding with Charles Dickens’ 200th birthday celebration. Previous Article Will (and should) the Pride and Prejudice and Zombies movie get off the ground? Most of the time typecasting annoys the heck out of me. But it seems to work for HBC.